Sparco Engineering Provide the complete solution for compressed air monitoring and for energy saving.The first step in reducing compressed air costs is to get a true and complete picture of the usage. VP Instruments develops, produces and supplies compressed air flow meters, nitrogen flow meters, thermal mass flow meters and energy management software. Solutions cover both the supply side and demand side. VPVision is the complete monitoring solution for compressed air, technical gases and energy management. Get a grip on your usage and see the patterns of compressed air between your supply and demand side. VPVision makes energy savings easy, quick and rewarding. Using the latest web technology, it enables you to view data anywhere at any time. 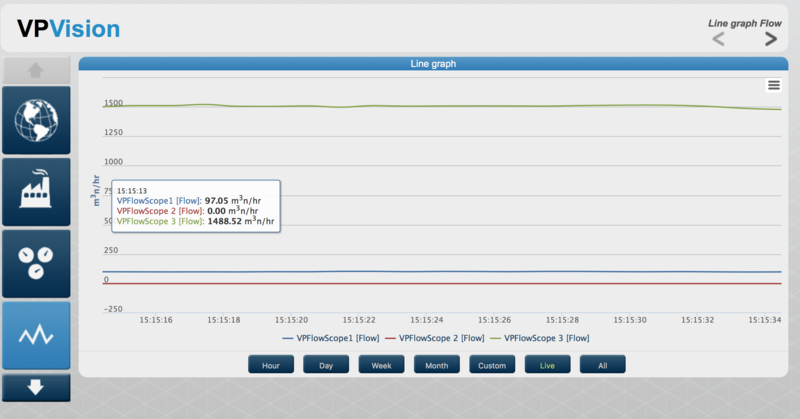 VPVision analyzes flow data and makes your savings potential transparent. VPVision is primarily developed for compressed air management, but can also be used to collect real-time data from other utilities.